Irrigation is so important to your farming operation. Pipe Planner makes it easy and saves you money. The Pipe Planner webinars are free to everyone and take very little time. All you need is a secure internet connection to participate. Below is the link to access all of the April trainings being offered. Simply pick a date and click the GoTo Meeting link before the trainings begin. You may attend as many trainings as you like. It is never too late to learn. 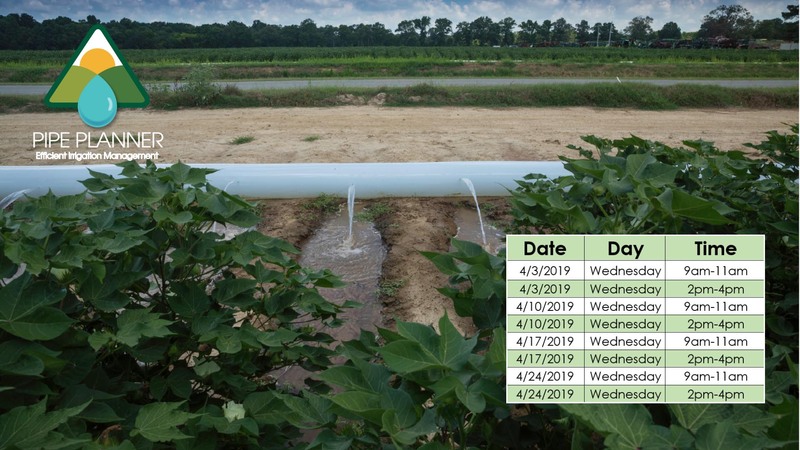 Take advantage of these free trainings prior to irrigating. Please join my meeting from your computer, tablet or smartphone.